Gamification. Spellcheck says it's not a word, but it's so hot right now in education. How can we get our students more interested in learning by introducing gaming elements to their work? And how can we keep the work from getting lost in the game? We bought my son a one-year subscription to the early learning game, "ABC Mouse." He soon tired of the reading exercises and spent all his time watching his virtual pet hamster play with the toys he had purchased with the tickets he won doing math and reading games. We won't be renewing our subscription. Yet clearly, incorporating the excitement of games into learning boosts student engagement. As long as we keep the purpose of the activities clear. Here are ten fun ways to incorporate games into your ELA classroom with a clear goal in mind. We ELA teachers are constantly tasked with increasing our students' vocabularies. If you are pushing through list after list of SAT words this year, take time every few weeks to review with your students by playing vocabulary Pictionary. Simply cut up your lists so you have piles of words. Put students into groups, then let the groups divide into teams. Give everyone paper, pencils and cards and explain how Pictionary works. One member of each team will look at the same card, then call "go" and begin to draw. Whichever team guesses the vocabulary word first gets a point. When you call time, the team with the most points wins. Consider letting winners play winners and crowning a class team champion. But really, everyone wins because their vocabulary review will be a lot more fun and memorable than just sitting in their chairs and staring at the words. Looking to push students to experiment with new titles in your independent reading library? Make up some fun Bingo cards with titles you recommend and offer a little prize for completion. You can also create genre cards if you want students to branch out. I like to offer a small prize for a bingo, and a larger one for a fully blacked out card. I once had a class of juniors that simply did not know how to ask a question during a discussion. We would be humming along in a Harkness discussion, chatting about whatever topic I had launched at the beginning of class, and then the pause would come. And the silence would settle. And expand. During each silence dozens of question ideas would pop into my head. But since Harkness is meant to be led by the students, I just had to wait. Finally one day I thought of a way to show them how easy it can be to come up with more questions. I held a discussion question contest. They would each write as many as they could about the reading as homework, and I would award not only eternal honor and glory to the winner, but a giant homemade brownie. The contest was a good spark to show them the many angles they could use when generating questions. 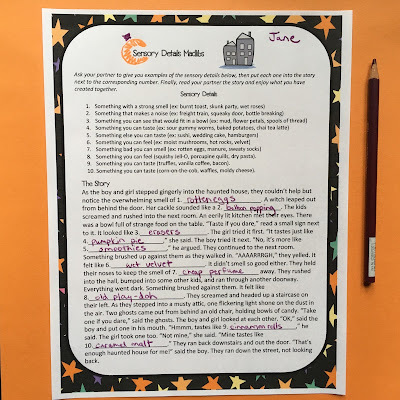 They could ask clarifying questions, questions connecting the text to other works, to current events, to pop culture, questions relating to themes and writing style, questions asking their classmates to relate to the events of the text. The winner came up with fifty or so questions about the night's reading, and the class took a good leap in the right direction. Next time you're stumped for a final project, try having students create board games related to the reading. They can either be games testing the players' understanding of the text, or games inspired by the themes and priorities of the writer. For example, after reading Austen's Pride and Prejudice, students might create a game called "Make your Match," in which characters go through various challenges in their efforts to marry and secure social safety. The key when creating this type of assignment is to make it very clear that the main grade will be about how the game reflects the students' clear understanding and analysis of the text. 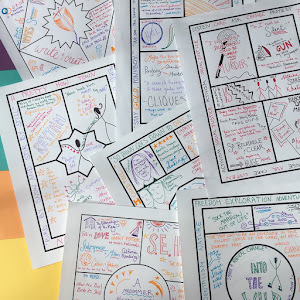 It's not difficult to keep a creative project closely tied to an academic purpose, but the students need to know that is a priority. Want to do a fun creative writing exercise after a test or on a holiday? 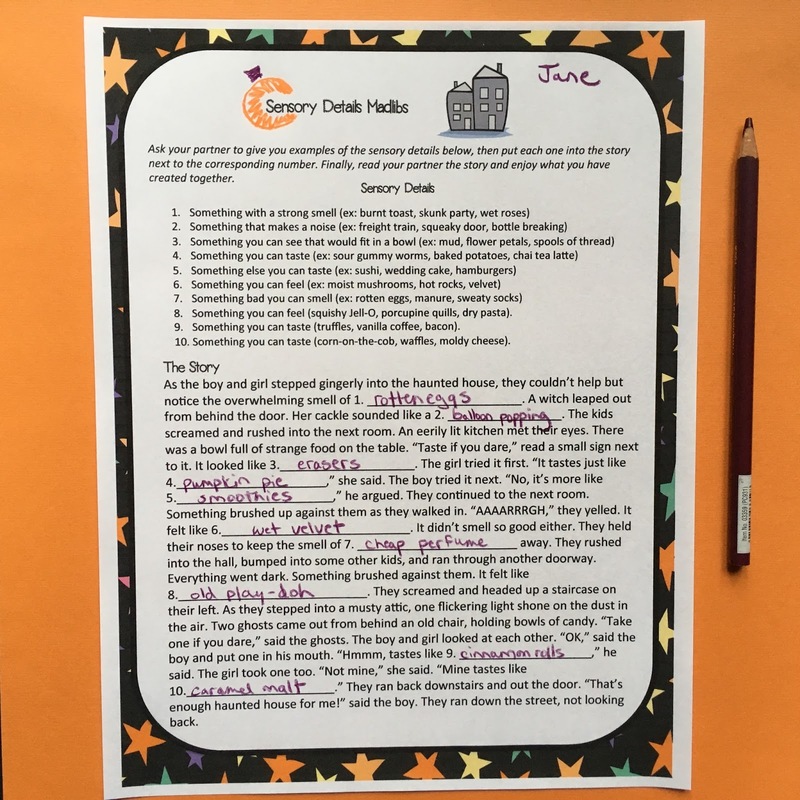 Let students write Madlib stories, leaving key moments blank and writing out a guide for a partner to fill in the blanks. I made one of these last year for Halloween, leaving critical sensory details blank throughout the story so students could brainstorm the sights, smells, sounds, tastes, and feels to put in. If you have students create their work in the computer lab, then they can print out multiple copies so several students can try out each one. If you haven't seen this fun idea on Pinterest yet, I'm delighted to introduce it to you. For a beach ball discussion, simply pick up a cheap inflatable striped ball and marker some key questions that could be used for any text onto it. Then when discussion time comes hit it up in the air and let a student ask the first question they see when they catch it. When it's time for the next question, throw it up again. Or you can have the catcher ask and answer a question. Or come up with some other iteration. The main thing is, as a student you really can't disengage when a beach ball is flying through the air above you! Escape rooms are all the rage this year. Let your students race around the room in search of hidden clues, unlock puzzles, and finally discover the prize. While they take an initial investment of time to learn how they work, there's a reason they are generating so much buzz. If you're interested in trying them out, check out my "Ultimate Guide to Escape Rooms" post and podcast. I wrote about this one in an article for We Are Teachers called "5 Unconventional Final Exams to Give your Students." To quote, well, myself, "For these unconventional final exams, let each student invent a video game for your material, planning out obstacles, levels, bonuses, and bad guys. Let them know which aspects of your course, in particular, you want them to focus on, or give them a list and let them choose. Use the time set aside for final exams to have students present their games to each other in small groups or rotating partners." Yes, it's possible our students no longer know who Alex Trebek is. But that's no reason not to play review jeopardy. I've never seen it fail to get students fired up and excited to review material. You can try this out before a unit test, a final exam, or even standardized testing. Simply create a grid on your whiteboard with several question categories and ascending point values for each. Draw boxes around your numbers (100, 200, 300, 400, 500) and write questions for each. Then divide students into teams. As each representative from a team takes their turn, erase the category point total they choose, read them the question, and award the points if they get it right. At the end of the time you have, the team with the most points wins all the honor and glory (and any prizes you might choose to bestow). Kahoot is such an easy platform you can use to design quiz games for your students. You simply create an account and a quiz, then students can log on and compete against each other live in your classroom. If you are in a one-on-one classroom, you have to check it out. You can create discussion warm-up quizzes over the reading from the night before, vocab review quizzes before actual quizzes, even pre-test quizzes just to get a sense for what students already know coming into a unit. Once you get comfortable with Kahoot, you'll see lots of opportunities to plug it into your curriculum. 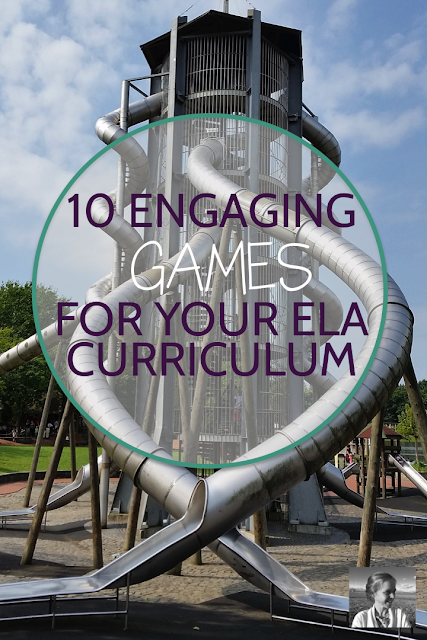 I hope you and your students enjoy these fun twists on the usual ELA curriculum. What strategies do you use to add gaming elements to YOUR curriculum? Share them with everyone in the comments below! Add some creative fun to your curriculum with this free download - five creative reading quizzes you can use with any reading. Save yourself the trouble of creating those mini plot quizzes and let students prove they've read with these truly engaging mini-assessments.